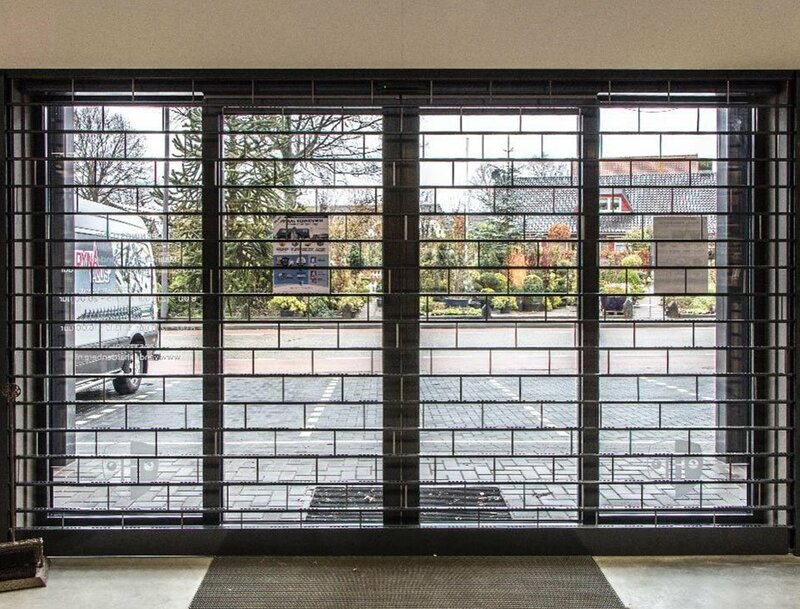 Stack door is a self-locking vertically stacking commercial security grille, with its unique design of solid steel vertical pins secured to horizontal steel profiles it achieves 80% vision and can be curved. 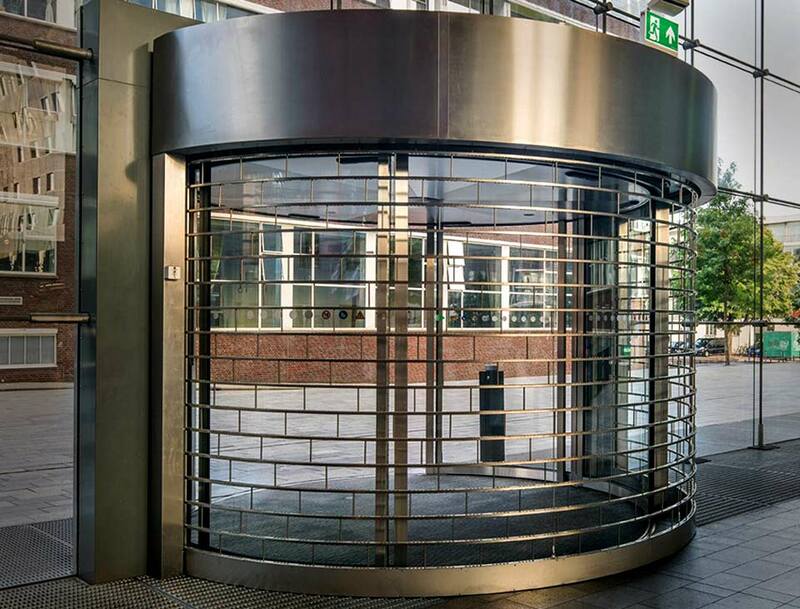 The stack door can be used for large spans in a number of unique applications such as securing automatic revolving doors, high use commercial car parks and retail premises. 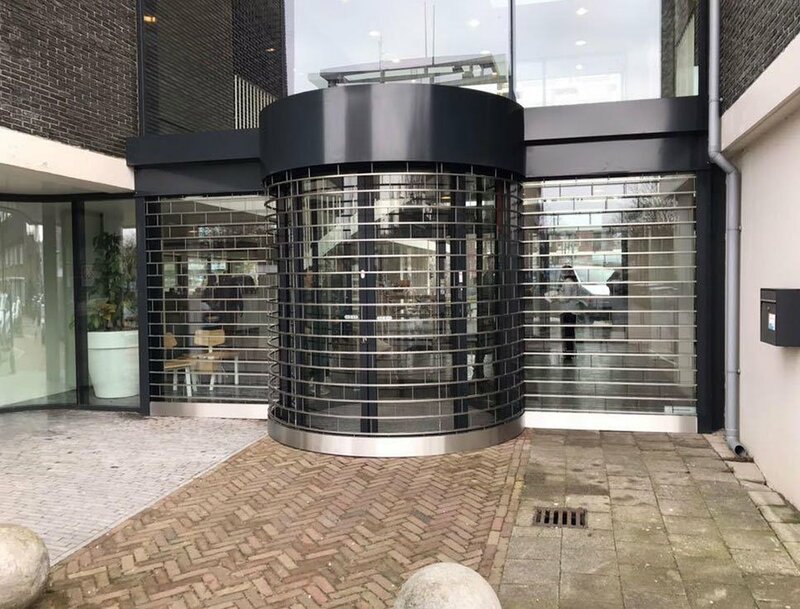 The stack door is a vertical stacking grille that can be used for curved apertures and span large widths. 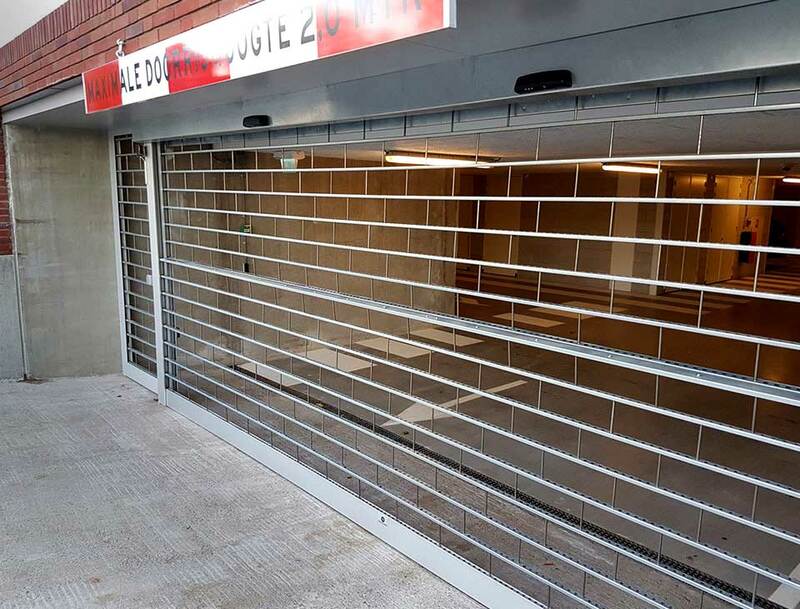 The unique design allows the grille to have a small stack zone making it suitable for limited headroom applications. 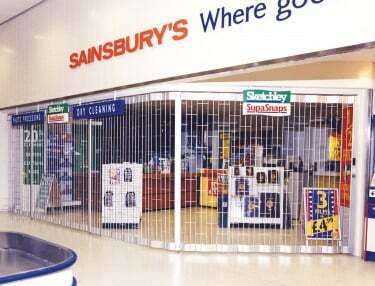 security grille for curved automatic revolving doors, high use commercial car parks and retail premises. 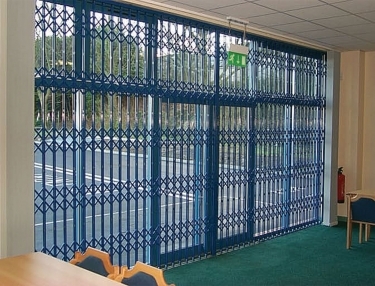 The commercial grille can be designed and specified as Standard, Curved, Compact, Corner or Car park. Solid steel vertical pins secured to horizontal steel profiles. 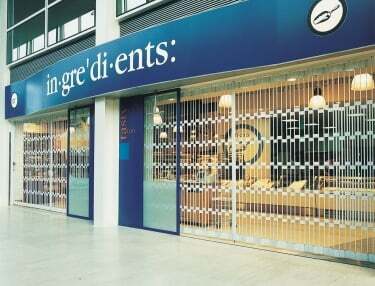 Can be specified as inline or brick bond style. 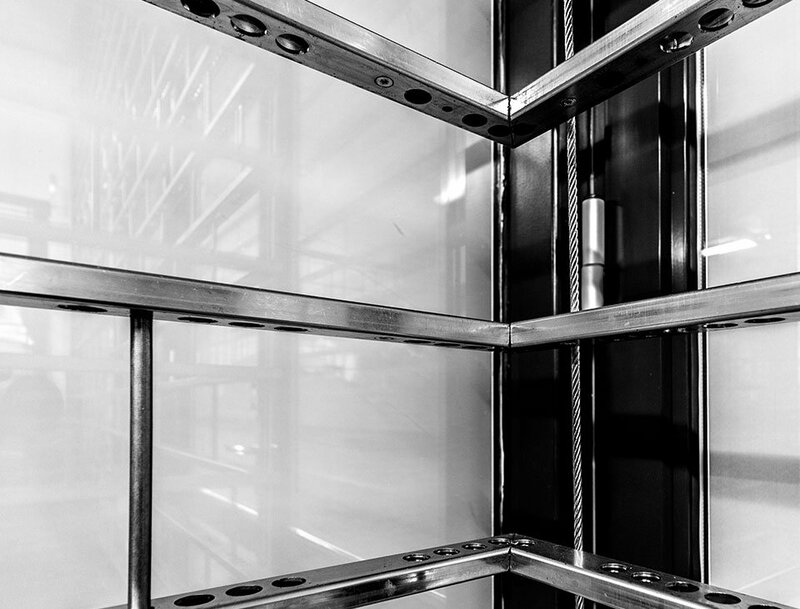 The stack door is automatically self-locking and cannot be forced up. 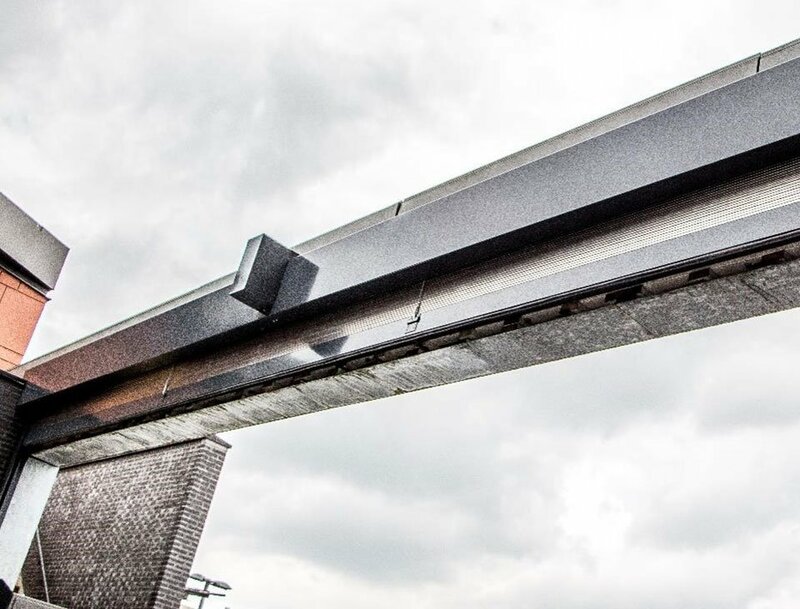 Heavy duty extruded aluminium guide rails with a reinforced extruded aluminium bottom rail. 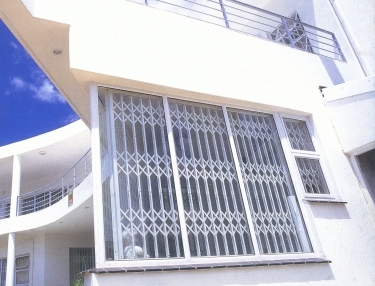 Corner applications do not require guide rails or intermediates. A tubular motor with limit switches and thermal cut out to prevent overheating. Draw 240 volts and 0.5 – 2.5amps dependent upon the shutter size. Provision of a 3amp fused spur is required for installation. Design of the model will alter for a three phase operation. Electrical requirements are dependent on usage, further details on request. A manual override is included to operate the grille in the event of a power failure. This is usually operable from one side only. Controls Standard security key switch or rocker switch. Other controls are available on request. A range of safety equipment is available dependant on the application requirements.